Come join us for an evening of Floral Design & Bubbles! 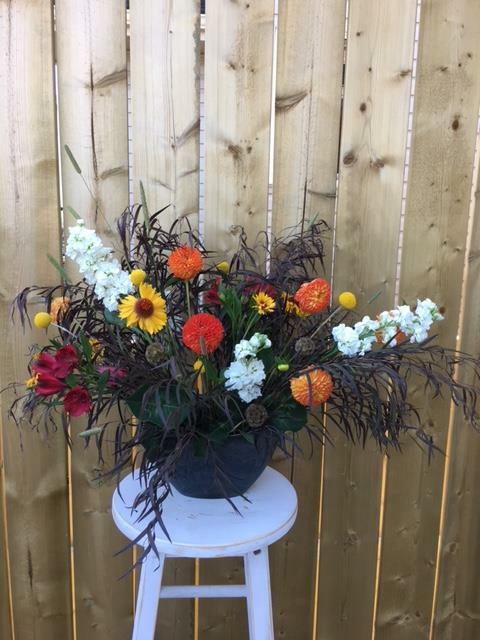 You will learn flower care to keep your arrangements lasting longer and basic design concepts to give your arrangements that professional look! $90.00 - Includes all supplies, a custom made ceramic by Saffron Collective Studio & bubbles! To register, please go to our official website, fill out the registration form https://www.foxtailfloraldesigns.com/workshops. Note: Accepting e-transfers only for this workshop.